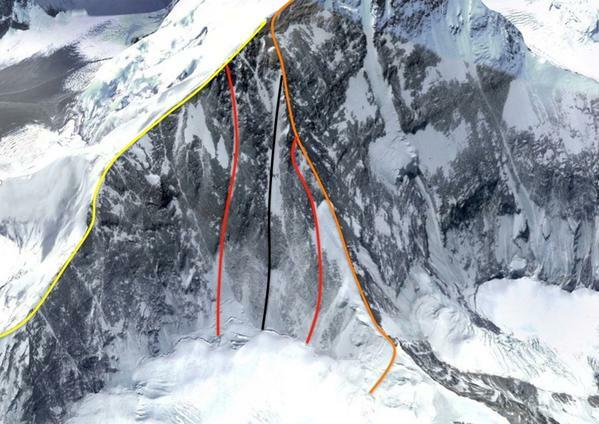 German climber David Göttler, Canadian climber Raphael Slawinski and Daniel Bartsch from Germany will try to open a new route on NE face of Everest; they will leave for Nepal on April 09, 2015. 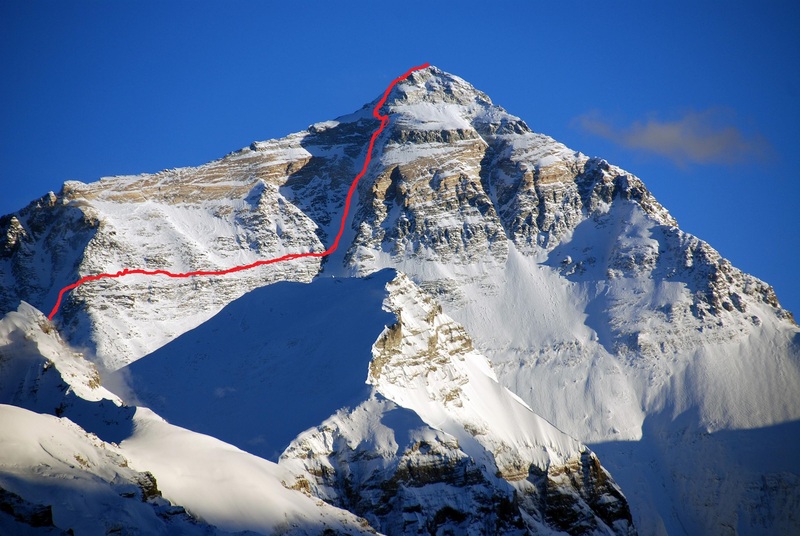 David Göttler told us that this is more or less the route they will try to climb on Everest. They are looking at two possibilities right now, there might be change in plans but right now there are two possibilities (Red lines highlight possibilities). Everest NE face, Black line shows already existing route, reds lines show two possible new routes, orange line is North ridge and Yellow line describes NE ridge. First possibility is to stay on right side of Zakharov Couloir (black line highlights the Zakharov’s Couloir) which is only existing route on NE face right now, cross the North ridge (Orange line highlights North Ridge) somewhere around 7900 meters, get to Norton Coulior and continue ascend to summit as shown in the first picture above. David also mentioned that traverse is difficult, if conditions on mountain did not allow them, they will stick to North ridge after reaching the cross point. Second possibility is to stay left side of Couloir (black line highlights the Zakharov’s Couloir) which is only existing route on NE face right now, get to the NE ridge (yellow line highlights NE ridge) and continue ascend to summit on NE ridge. 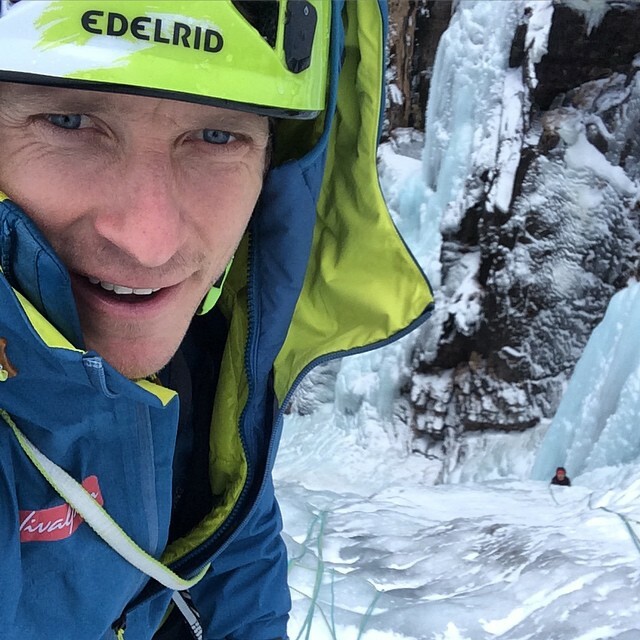 Climbers are in good shape and trained hard to make it happen. Raphael Slawinski doesn’t have climbed any 8000er, but he is great climber and received Piolets D’or for making first ascent of K6, Karakorum Pakistan. David and Daniel both have climbed 8000ers and are in great shape.